Is anything of value free anymore? For those of us of a certain age, we remember a time when watching television didn’t cost a dime and you drank water from the tap instead of from bottles. Now, you can’t even put air in your tires without digging into your wallet. But the Cape Cod Baseball League is a throwback to a different time. It’s a Norman Rockwell painting come to life. It’s pure family entertainment and baseball in its purest form. It’s where children make new memories and parents relive old ones. Fans bring lawn chairs, blankets and picnic baskets, kids play catch on the sidelines, chase down foul balls and gleefully seek player’s autographs after the games. The Chatham Anglers take on the Harwich Mariners at Whitehouse Field. 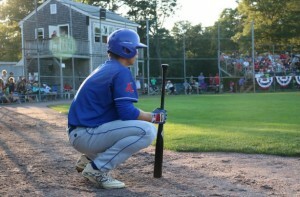 Photo courtesy of Chatham Anglers. The Harwich Mariners play at Whitehouse Field, just up the road from the Seadar Inn, in a beautiful setting that is just one of the Cape League’s 10 idyllic, pristine ballparks. Other nearby parks are located in Brewster, Orleans and Chatham, while South Yarmouth and Hyannis isn’t that far away. Fans come to watch the finest amateur summer baseball league in the country, where you can still savor the sound of wood bats, while getting up close to college stars who will soon be suiting up in the Major Leagues. Games start at 5, 6 and 7 p.m., with teams playing a 44-game regular season schedule, followed by playoffs, that runs from mid-June into mid-August. Six nights each week you can watch the stars of tomorrow. And that’s not just a hollow marketing slogan. There are nearly 300 Cape League alums currently playing in Major League Baseball, and more than 1,100 former Cape Leaguers who have appeared in at least one big league game. The list includes five Hall of Famers (Frank Thomas, Carlton Fisk, Pie Traynor, Craig Biggio and this summer’s newest honoree, Jeff Bagwell), along with numerous winners of the Cy Young, MVP and Rookie of the Year awards. Last year, 259 current or former Cape Leaguers were selected in the MLB draft. Among the current Major League stars who played in the Cape League are Buster Posey, Chris Sale, Jacoby Ellsbury and Matt Wieters. And there are many, many more. The Cape League is renowned for using wood bats. It’s the major draw for prospects and pro scouts. For the first time, college stars accustomed to playing with metal bats are forced to adjust to the vagaries of wood. Pitchers realize they can throw inside and saw off hitters, hitters learn to handle fastballs on the fists, and scouts receive a more accurate read on a player’s talent. 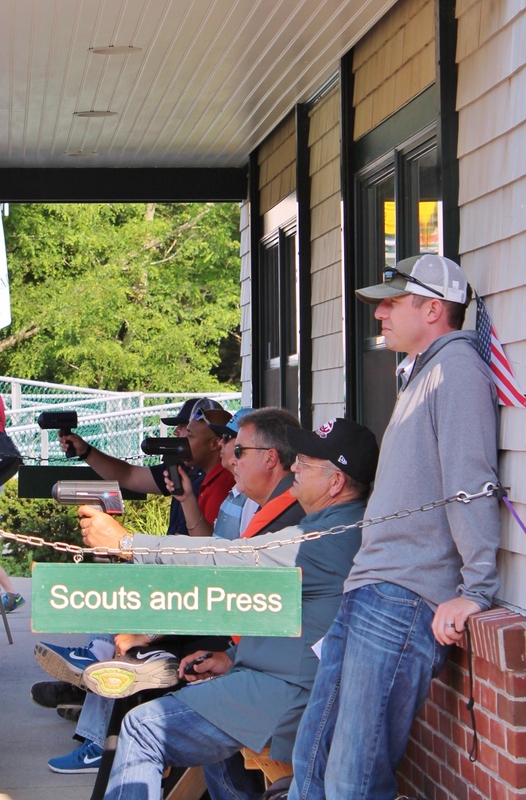 Scout sightings are the norm at Cape League games. 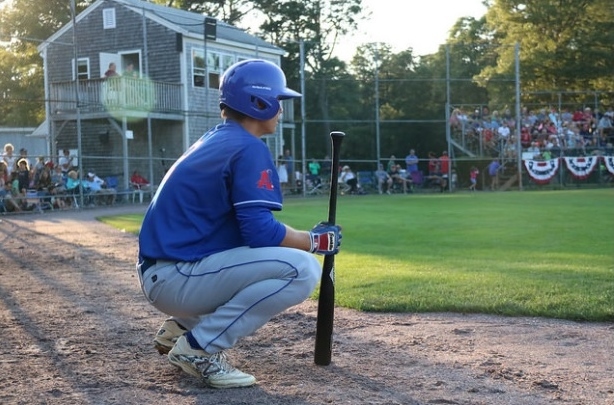 There is little doubt that a successful summer in the Cape League can shape a player’s future. There are a handful of scouts at every game, with as many as 20 when a top pitching prospect is on the mound. The attention culminates in the All-Star game, when more than 50 are on hand. 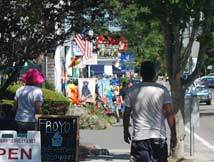 But even though there is big money to be earned down the road from a successful baseball summer in the Cape Cod League, the small-town atmosphere has changed little through the decades. The late actress, Lee Remick, who used to be a regular at Cape League games, once said that she could look out onto the field and feel like it was 1930. 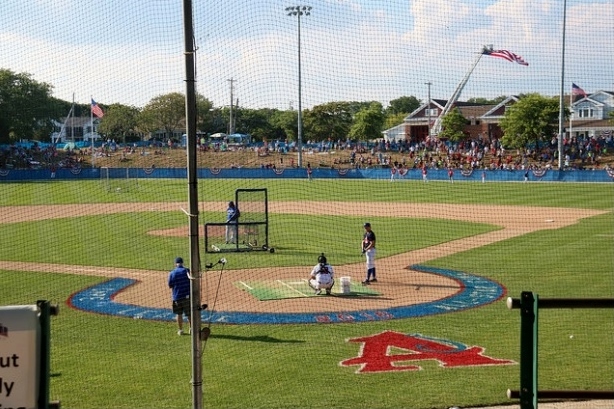 Top photo: Veterans Field in Chatham; courtesy of Chatham Anglers. Seadar Inn » Cape Cod Baseball League: Pure Americana, and it’s free!